Our deep and diversified inventories, combined with manufacturing capabilities and technical expertise make us a superior single source for any flow control project. Whatever your industrial PVF or automated valve needs, FloWorks International LLC can provide service and solutions to you. Many installations require unique components or individually designed parts. With our long standing manufacturer relationships coupled with our own in house manufacturing/production capabilities of J&J Alloys, we are in the business of making sure our customers have everything they need to get the job done right the first time. FloWorks International LLC is not a singular entity but rather a family of award-winning companies that have come together to provide our customers with superior service and a wide selection of high-quality inventory. Our specialized PVF and V&A services, knowledgeable staff and strong emphasis on quality has led us to become a growing global leader in the supply of industrial pipe, valves, fittings, flanges, specialty manufactured fittings, specialty bar and valve automation and controls. Founded in 1978, Sunbelt Supply is a world leader in the supply and distribution of manual and automated valve products and accessories serving the refining, petrochemical, chemical, mining, power generation, oil & gas, marine & offshore, pulp and paper, and other industries. 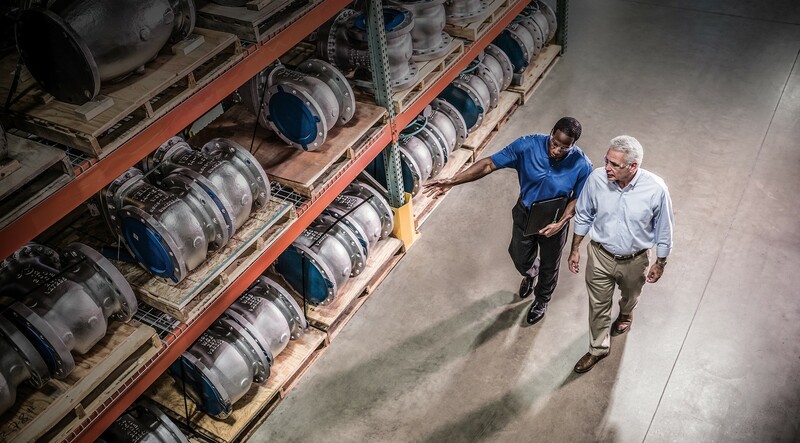 Founded nearly 40 years ago, Southwest Stainless & Alloy carries one of the nation’s largest inventories of stainless steel piping products, as well as a full line of complementary stainless valves, fittings, flanges and bar. In addition to stainless steel, we offer chrome products for use in power plants and other highly corrosive environments, as well as carbon and chrome pipe. For the past 30 years, Major Inc. has been the primary sourcing group for multiple major power companies. Major Inc. maintains a 99% client retention rate and works with our valued customers and manufacturers to find the highest-quality products for all their PVF needs. J&J Alloys is an industry-leading manufacturer of nickel alloy fittings and flanges with a portfolio of products unrivaled in the industry. We serve a broad customer base including global markets for the energy industry, oil & gas-upstream (both offshore and onshore), midstream and downstream (including refining and petrochemical). We also serve the chemical, power, marine, mining, pulp and paper, food and beverage and many more industrial market segments. J&J Bar Plus is the premier nickel and stainless alloy round bar distributor in the Southwest and Gulf Coast regions of the United States. We stock stainless and nickel round bar in multiple sizes across 15 different material grades, servicing OEMs, machine shops and other distributors in the oil and gas, refining and other heavy industrial markets. Anywhere there is a corrosive nature of material in a flow and/or high-pressure application, our industry experts are ready to assist you in providing the round bar products you need.